Rinse your mouth with warm, clean water. If swelling is present, apply an ice pack or cold compress. 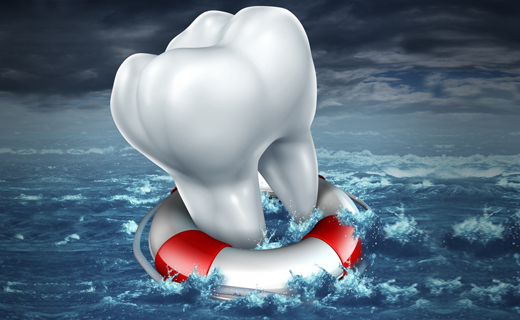 See your dentist in Virginia immediately to determine the extent of damage and treatment options. Your dentist may be able to smooth a minor fracture. Moderate fractures may involve dentin or pulp tissues, so more extensive work may be necessary. If you have pain, take ibuprofen instead of aspirin.